That's Roy Nelson. He's one of the best MMA fighters in the world. He's also fat but claims he's one of those "fat and athletic" types. He's done well enough in MMA yet according to Dana White the president of the UFC, Roy's "weight" is holding him back from the great championship level performances. Roy has dynamite in his right hand and seems like he can take an unlimited amount of punishment without being knocked out. He also has good old fashioned grit, the guy never breaks, wilts, or gives up. He also represents this pervasive idea, that it's possible to be fat yet healthy. In the heavyweight division there are a lot of guys heavier than Roy Nelson. Alistair Overeem, Brock Lesnar, and Shane Carwin were all guys heavier than Roy who looked nothing like Roy. They look like action figures. It's not his weight holding Roy back, it's his fat. There's a difference. Sometimes overweight people are fat but not all the time. You can just be very muscular. Sometimes fat people are overweight but not all the time. Overweight people AND skinny people can both be fat. Skinny fat people have just as many health risks if not more. Majority of Americans are fat, some are overweight, some are not. Very few of the general population is truly healthy. 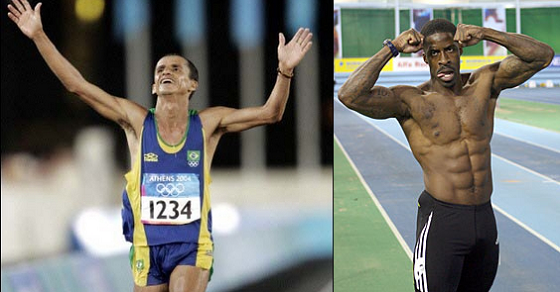 Roy thus far is proof you can be a world class athlete and fat. There have been NFL players who had successful careers who were not muscle beasts, and carried a great deal of fat with them. There are exceptions to the rule, but do these exceptions make the rule? In comprehensive studies dating back to the 1950s, the idea of being both overweight and fit seems unlikely. The researchers, from Lunenfeld-Tanenbaum Research Institute at Mount Sinai Hospital in Toronto, Canada, found that people who tipped the scale above recommended body mass index (BMI), regardless of whether all the diagnostics showed them being healthy, still had a higher risk of dying from heart disease compared to individuals who also had normal diagnostics and also within normal weight ranges. To explain it simply, if your physical and blood tests shows you as healthy, your risk of disease is still higher than people who are also metabolically healthy but of normal weight. Is weight what matters or is fat what matters? Some people are both fat and overweight but not always. What if you're weight is high because you're extremely muscular. People who's weights are high due to too much muscle are a small drop in the bucket in comparison to people who are overweight due to excess fat. Their data is part of the reason why it used to be believed you could be fat and fit. But these people were never fat, they just had weights similar to the fat population (though having excessive muscular mass has health risks of its own: it can easily convert to fat, it's also taxing to muscles, joints, and organs). The problem is of the term "fat," since there is this fear of shaming and judgment we use the term overweight when we mean over-fat, which throws muscular people under this inaccurate health standard. Beyond that, it makes people believe then that overweight and fat are the same thing and if the scale says a certain number, it means you're "fat." No one weighs themselves and says, "boy am I heavy," or "man am I dense." If the scale number is high, "fat" is the word they use. This is completely inaccurate, the scale has no idea how much of your weight is fat. You need other tests for that (unless your scale has a fat sensor). People will base their perception of attractiveness on this as well. These fighters on the left were the same weight during their epic heavyweight fight. They obviously were not the same size. Losing weight will not necessarily make you smaller or taller. People wanting to look better are focusing on the wrong measurement. In Asia - We literally say "heavy" and instead of weight loss, we say "lose flesh." Americans get on the scale and say they're big (associate weight to mass) and need to lose weight (associate mass to weight). It's the inverse of what it actually means. In Asia we say we're too heavy (associate weight to weight) and need to lose flesh (associate mass to mass). We also don't say muscle weighs more than fat, we say fat is bigger than muscle, kind of like a balloon can be lighter than a rock but can be much bigger. Americans obsess over weight, Asians obsess over size. This little difference in language makes all the difference. You can be heavy yet not fat. The real difference here is visceral fat. When you go to the doctor, they weigh you (to get BMI) and they measure cholesterol. It's not enough data to say anything but it's the only data available so there's a lot of false conclusions. Dr. John Henning Schumann told NPR that the cholesterol test has become a vice not a virtue and we take it to mean more than it does. With just weight as the other holy grail test, you get people like fitness trainer and body builder Anita Albrecht being told she's obese and to go on a drastic diet and to move more... Why are we using weight when we should be measuring fat? Why are we using weight to measure fat? It makes no sense but we've fully bought in. A word of caution - Being smaller is not the same as being healthy. Beauty and health overlap but are not the same. Are you chasing health or impossible superficiality (we all have varying degrees of body dysmorphia)? According to BMI the person on the left is lean and person on the right is overweight (fat). Fat shaming is obviously bad. Overt avoidance of fat shaming can also be bad (and we lose some self responsibility). The scale doesn't measure fat, it only measures weight. Since we use the term overweight when we really mean over-fat, the majority of people think the scale is an accurate measure of fat. For many, the scale is the only thing they care about and according to the scale the person on the left is considered lean and the person on the right is considered overweight. BMI is your weight in comparison to your height. Basically a way to tell you based on your height, what your ideal weight should be. The majority of people think BMI is the same as body fat, when weight tells you nothing about body fat. Part of this was historically there was no way to measure body fat (unless you gave doctor's aides extra training) and machines to measure body fat only recently became readily available so we're still used to the outdated measuring system. You explain to someone who's beginning to work out, to not let the scale fool you, that they're building muscle, they kind of give you a "don't give me that b$%!#@$ scripted answer" look. They don't want to hear it or believe it because all they've ever heard and will hear from their peers is, the scale doesn't lie and the scale tells you how fat you are. We would rather believe simple lies than complex truths, and in this case the truth is complicated. Which is why many believe Jenny McCarthy over scientists and we believe weight loss infomercials than long complex studies. Weight is simple, weight plus waist to hip measurement plus body fat plus visceral fat plus skeletal muscle plus full blood panel plus waist to height plus BMI and so on is less appealing. The more complicated it gets the more skeptical people become. "You're telling me all this stuff but my friend just told me all I need to do is this one thing and I can be healthy, I'd rather trust my friend." Einstein never said, "If you can't explain it simply, you don't understand it well enough." The other misleading way to measure health is calories. If you don't burn enough calories you're just lazy. If you're fat it's because you're a glutton and you eat too much. This isn't accurate because it puts all the blame on the individual and none of the blame on Big Food and Big Health. The shame doesn't come from the term "fat," it comes from what we take it to mean. It means you're overweight and it's your fault because you're lazy and you eat too much. This is really because of the calorie in and calorie out model and since we can control that, it's our fault. It's also the only measurement we're used to and the only measurement we've ever been taught (other than weight). Not only by food industries, but the government, as well as the health industry. What's happened is then people count calories but ended up eating foods high in sugar. Even health foods are sugary, otherwise we wouldn't buy it. Our brains naturally love sugar. The health industry is just as guilty, they have everyone right now on a juicing craze, basically making their own sugar IV. It keeps us hooked on the taste and makes fiber nonexistent. Even if you blend it, fiber has been pulverized. We no longer appreciate the taste and texture of fiber (nor can this pulverized fiber slow the absorption of sugar). Even if you juice vegetables, it doesn't transfer into making one love raw vegetables. It may in fact keep people from eating real vegetables because they can just juice it, and with that out of the way they can avoid it the rest of the day. We don't have a lack of antioxidant problem, we have a too much sugar problem. We're trying to solve a problem that doesn't exist to keep us distracted from the real issue. Sugar, which leads to diabetes, heart disease, cancers, strokes, and the list goes on. As long as you believe it's all on you, big food doesn't need to change. There have been many documentaries on food and health. Warning you about saturated fats, meats, calories, and lack of exercise. They stayed on message, eat less move more, less calories burn calories. All things you can control. Big Food never cared, they weren't asking Big Food to change. Big Food don't care if you go vegan or vegetarian, they still profit. We love any diet that tells us all of our energy source should come from carbohydrates, it's addictive and moves products. Big Food sets the message, Big Health validates the message and tells you anything low in carbohydrates is "dangerous." When Fed Up came out blasting sugar and the food and health industry, from food lobbies, sugar lobbies, sugar council, American Heart Association, Diabetic Association, Dietetic Association, nutritionists, trainers, health websites, experts, and some media outlets came out in defense of the calorie model and said it's not sugar's fault, it's big calories and big fat. There is no big fat, no one is making money off of selling fats so if people avoid it, food companies still profit. Big Food and Big Health want you to go to the juice bars, drink health shakes, sugary protein drinks, sugary supplement powders, sugar pill vitamins, go to the gyms they sponsor, drink your sports drinks, your all natural and sweet fruit bars, they can deliver it to you low calories and high sugar. Nutritionists and dietitians will stay on message as will all the big non-profit policy makers. There's lots of money to be made by trying to burn massive calories and get your sweat going. How has that worked out for many? This idea that you have to get maximal calorie burn does not equal weight loss or fat loss just like less calories doesn't necessarily equal weight loss either. Over-exercising and too much intensity can lead to inflammation, which may cause more weight gain. Burning calories and less calories both are about consumerism. You buy low calorie foods, and you buy lots of health classes to burn calories. Eating the optimal kinds of food and working out with the minimum effective dosage to create maximal health change, there's no money in that. Just like the popular health foods (all low fat, low calories), what are all the most popular health classes? The ones who promise to burn the most calories. This obsession with calorie burn is ruining workouts and making them less effective. It's about change not calories (the science of this is much more complex and deserves its own write up but calorie burning majority of the time does not equal sustained weight loss). 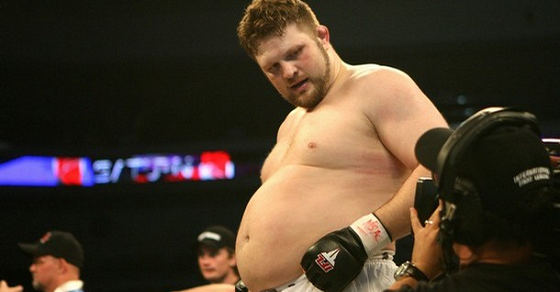 Roy Nelson as a full-time MMA fighter burns a massive inhuman amount of calories. His calories in doesn't match his caloric exertion. But Roy still looks like Roy. Majority of Americans have proven calorie counting and burning hasn't worked. The calorie myth is so powerful, there are martial artists who train over 2 hours a day and burn more calories in those sessions than any bootcamp or Crossfit WOD, who still believe the answer to weight loss is more exercise. And so they'll get a gym membership, do P90X, or go to trainers. It's lunacy. Try cutting out all the sugar, starting with sports drinks. According to BMI, athletic kids are deemed obese. Because of the calories model, people are overweight due to lack of exercise and overeating, then what about obese babies or toddlers who are just beginning to learn to move and have motor function? And if that's the only measure and solution, should little kids diet and exercise? It's lunacy. Weight is inaccurate and calories does not paint a complete picture. Years from now medicine will laugh at our folly. Much like wealth and population and food scarcity, calories too is not about abundance, it's a distribution problem. We favor carbohydrates and sugar and they behave differently from proteins and fats. Even if you lower carbohydrate intake, but don't compensate by increasing the other two, you end up with the same problem. Our weight then isn't a too much weight problem, it's a distribution problem and it forces us to distribute too much of it to body fat, even when we're skinny. 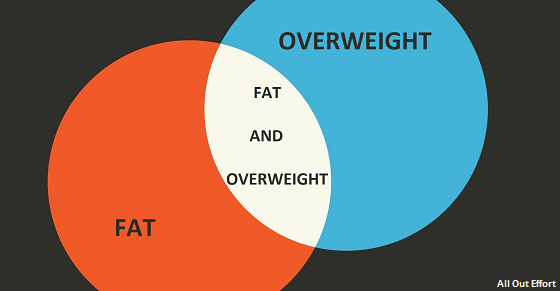 The majority of people overweight and underweight have a fat problem. Who's left to be healthy? What if you just stressed less, ate less refined carbohydrates and sugar, and moved more? You'd save money but who would profit? Counting calories in and out tends to make people obsessive, which creates more stress and anxiety. So does obsession over weight. We want less stress not more stress. I have read many op-eds about the experience of being overweight and the feeling of shame. Something that struck me was this shame of messing up by eating too many calories rather than eating the wrong kinds of foods. They mentioned the shame they felt and had to hide eating calorically dense meals, "I was the steak and potatoes girl," or the classic villian food: the hamburger (which they perceived as high in calories and fat). What I never saw mention was of the breakfast cereal, sugary drinks and juices, the fruit bars, the bagel, the bite of someone's dessert, the frozen yogurt, the low-fat (but high sugar) yogurt, and so on. That couldn't be the issue, they're low fat and low calorie. Instead of hiding (like with the hamburger), we take pictures of our desserts to brag to the world. There's somehow less shame with sugar as it is beloved by all. Then the op-eds go over this mystery of why the weight doesn't come off, they've tried everything, now they are a failure. The self blame begins; they already know it's their fault and they don't need the world to remind them. Thus came the no more "fat shaming" movement, since they're already very self aware and their own harshest critic. This whole battle over shaming puts the responsibility on the individual or on the shamer, and none of it on the food or health industry. People are fighting amongst themselves, both sides believing its about calories, shamers and defenders included. This is classic triangulation where a third party splits and pits two parties against one another and keeps the blame off themselves. I make Mary believe Harry did it, I make Harry believe Marry did it, when in fact I did it. This is when people start calling people stupid and there's no hope for humanity, never thinking the system was wrong. But what if it's not all your fault? What if it's also not some mental disorder keeping you from being healthy and it's not faulty genes (and all the other messed up things people have sold you). What if many overweight people have been following the health advice, not failing at it, and the health advice never worked effectively? You ever tried to build furniture and you followed the directions exactly and it still came out messed up? It's not you, the instructions were wrong. This is EXACTLY like that. Yes we should change and take personal responsibility, but the message and institutions and policies needs to change. Some people come to me not to change but rather they want help with the instructions ("this is what's worked for me in the past, I need help to make it stick"). I'm in the business of change. If you tried over and over to get it to work, what am I going to do that's so different? Isn't it time to throw out the instructions? Instead of blaming your trainer and yourself for following the instructions wrong? Not everyone is ready to throw out the instructions because the rest of the world keeps telling them it's them not the instructions, "you're doing it wrong, you're cheating, it's such simple instructions why can't you follow it? It's calories in and out, exercise and diet, that's it? What are you stupid? A failure?" This is garbage and makes people feel like crap which makes it harder to follow any guidelines, even when they're the effective ones. Why don't we ever question if current recommendations are wrong? Because of all this we avoid the term "fat," and focus on weight and that's made health problems a whole lot worse and misleading. We vacillate from personal responsibility to blame and responsibility avoidance, we're going in circles and it's getting us nowhere. You don't have to be overweight to be fat. Whether you're fat overweight or fat skinny, you're still unhealthy. It's not all your fault. You followed conventional wisdom, how has it worked out for you? People with optimal body weight and optimal body fat and good internal health are most likely to live a long healthy life. Optimal is not the same as extremely high or low. Health and beauty are not the same. Being extremely light and small is not the same as healthy nor is it even beautiful to others. Being sweaty does not necessarily mean you got a good workout just as being "heavy" does not necessarily mean you're fat. Correlation not causation. To have a good workout you have to have a good workout and to be fat you have to have lots of fat. Avoid sugar and refined carbs, manage stress, move more, and save money. 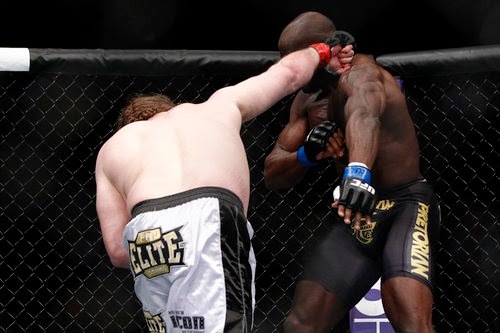 Roy Nelson is heading into the twilight of his career and he may never get a title fight but it sure is entertaining to watch him knock out a guy who looks like an Adonis.